Forgotten Dreams is a manufacturer of foam LARP weapons that are replicas of weapons from all ancient eras or come from the imagination of their designers. 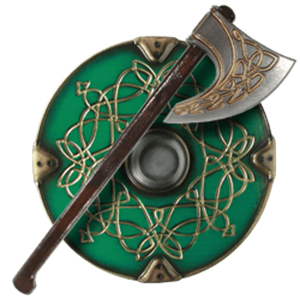 Now they have released the Collections line of products that include LARP swords, LARP shields, LARP daggers, LARP axes, and LARP maces. These LARP weapons are made of a fiber glass core-rod, encased by a thick layer of plastic foam. The foam of the LARP weapon is covered with a protective latex layer and finish by authentic color shadings. The LARP weapons has a capped core to prevent tearing, splitting, punch-through of the foam. 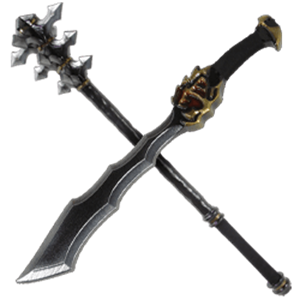 Forgotten Dream's weapons can be used for Live Action Role Playing, jousting, or used as a practice weapon. 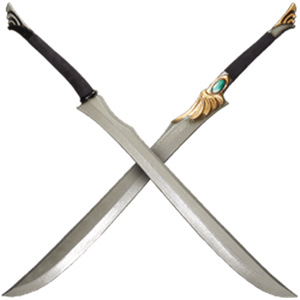 These LARP weapons are safe toy for children and can be used in theatrical plays or movie props. 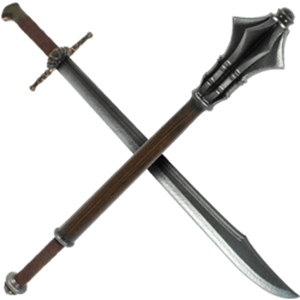 Forgotten Dreams LARP weapons include swords, daggers, maces, axes, clubs, hammers and oriental weapons. 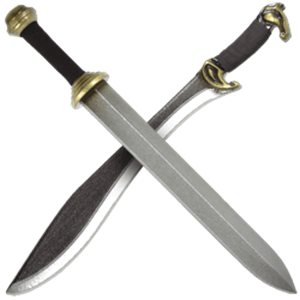 If your next live action roleplay event takes its inspiration from the era of Roman soldiers and gladiators, then choose a high quality LARP weapon from the Ancient LARP Collection. This collection, expertly crafted by Forgotten Dreams, has a LARP weapon for any character hailing from this era, with a wide assortment that ranges from items like the Ancient Pugio LARP Dagger to the Ancient Roman LARP Spear. Made of industrial quality, closed cell latex, these LARP weapons are resistant to shredding and coated with latex for extra protection as well as an elastic gloss finish for added resiliency. Protect yourself with the Ancient Roman LARP Shield, large and rectangular for fending off the blows of your attacker. The shields are made of the same shred resistant foam as the weapons, made durable as well through coatings of latex and elastic gloss. If your LARP character leans towards an attitude of villainy, then the Chaos LARP Collection has the live action roleplay weaponry for you. Drawing inspiration from fantasy, these LARP swords, LARP axes, and LARP daggers all feature jagged, angular edges that lend each piece its nefarious appearance. Expertly colored and detailed, they bear a realistic look sure to strike your enemy with fear at your next LARP event. Some of our items, like our Chaos Bloody Skirmisher LARP Shield and our Chaos LARP Machete, feature a hint of red detail reminiscent of battlefield gore. Made out of industrial foam, these weapons are resistant to shredding and then coated with latex with an elastic gloss finish, making them resilient against abrasion. A fiberglass core provides flexibility and firmness to each weapon. With proper maintenance, the Chaos LARP weaponry is sure to become a favorite time and time for bringing chaos to your live action roleplay events. The future is bleak, hopeless and dark. To survive in this world, make sure your guards are up and your weapons ready. The Dark Moon gear is intended for modern, futuristic and post apocalyptic LARPs. 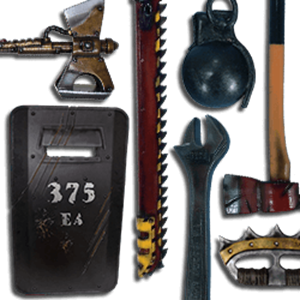 The varieties of weapons are many, and everything in this world will be used to get the upper hand. Make your choice and fight to survive yet another night. Elves of all sorts can rejoice in the regal and elegant stylings of the Elven LARP Collection. In most renditions, elves are known for their refined and ethereal aesthetic, and this collection delivers with enchanting LARP swords, LARP daggers, and more made by Forgotten Dreams with expert attention to detail. Blending the design of traditional Japanese weaponry with fantastic elements, this collection includes items like the Elven Naginata LARP Weapon and the High Elven Blue LARP Katana, which features the appearance of a blue gem on its hilt. This collection also includes items like the Elven Black LARP Staff for LARP characters that prefer to cast spells rather than strike with a foam blade. Made out of shred resistant foam that has been coated with latex and elastic gloss for protection against damage, these LARP weapons are sure to become a favorite among fantasy LARPers. For menacing LARP war hammers, LARP swords, and more, check out the Imperial LARP Collection. 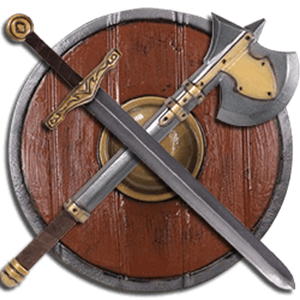 This selection of LARP weaponry draws its design elements from knightly weapons, featuring emblems like Crusader crosses on their pommels, guards, and even hammer heads. This medieval inspiration is not without a dark twist, however, as demonstrated with items like the Imperial Inquisitor LARP Hammer, which displays crowned crosses upon its twin hammer faces. While menacing and stately, these LARP weapons are made safe for live action roleplay battle through their expert construction. Crafted by Forgotten Dreams, each LARP weapon is made of industrial quality polyethylene foam, which resists shredding. This foam is then layered over sturdy yet flexible fiberglass cores and coated with protective latex. Masterfully colored for an authentic look, these weapons boast appearances that closely resemble their functional counterparts. Finished with an elastic gloss for extra protection against everyday abrasions, the Imperial LARP Collection is filled with high quality, statement making LARP pieces that will serve you well for battle after battle when properly maintained. Our Medieval LARP Collection has something for any LARPer who has ever had interest in this definitive era. From essentials to elegantly detailed statement makers, the Medieval LARP Collection includes all manner of LARP weapons and LARP shields to equip everyone from starting squires to practiced paladins, all expertly crafted by Forgotten Dreams. Choose from a variety of LARP shield colors and styles, all made out of high quality, shred resistant foam and coated with protective latex and elastic gloss for durability. This collection includes no shortage of swords, from the essential Medieval Squire LARP Sword to ornate weapons like the Medieval LARP Claymore and golden colored fleur de lis embellished LARP blades, such as the Medieval Paladin LARP Dagger. Shop this section for LARP maces and LARP axes as well, all expertly crafted to look like the real weapons of this historic era. 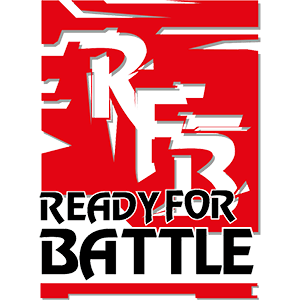 Each weapon features a flexible and durable fiberglass core surrounded by layers of thick, industrial strength foam under a coating of latex, realistic coloration, and a final layer of elastic gloss for safety and sturdiness that, with proper maintenance, will keep these LARP weapons trusted for LARP battle after battle. For menacing and unique LARP weapons inspired by cutthroat fighters of eras past, all crafted with expert attention to realism as well as safety, look no further than our Mercenary LARP Collection. Masterfully constructed by Forgotten Dreams, the wide variety of LARP weaponry in this collection includes exceptional pieces for the distinguished LARPer. 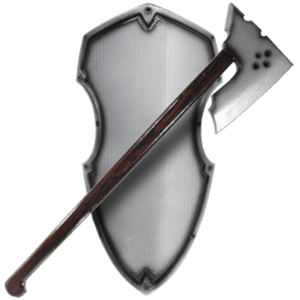 Shop here for LARP pole weapons that will have your enemy running before you even reach them, like our wicked-looking Mercenary Renaissance LARP Halberd. 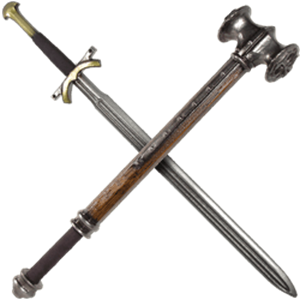 Our LARP swords here feature unique details with historic inspiration, such as our Mercenary LARP German Messer Sword and our Mercenary LARP Katzbalger, made resemble the signature weapon of the Landsknecht mercenaries. Colored to resemble real metal and dark wood, each LARP weapon and LARP shield has been built out of high quality materials for safety and durability. Made out of shred resistant, industrial quality foam, the LARP equipment is then coated with latex as well as an elastic gloss finish for added protection. The weapons all feature sturdy yet flexible fiberglass rods at their cores. With proper maintenance, items from the Mercenary LARP Collection are sure to become your trusted blades and defenses at LARP events time and time again. Live Action Role Playing, or LARPING, is an activity for all ages. And no piece of equipment is more important that the weapon you wield. Our Warlords line of latex weapons have a realistic look and finish and are some of the finest on the market. A hard rubber handle and real suede wrapping ensures both great balance and a firm grip for complete control. The tough layered foam, high quality latex, and the specially developed paint we utilize, have been researched for long lasting play and a non-cracking finish. Police-grade Kevlar, used in our sword tips, ensures strength, durability, and safety on a thrust. Though the fiber cores of our weapons are lightweight, they command the strength to withstand excessive pounds of stress. All of the chemicals and compounds used in our weapons have been proven OSHA safe. We invite you to BRING THE ADVENTURE HOME with weapons from the Warlords Collection by Windlass! Yes, these are made by Windlass, you get a great quality LARP weapon from a trusted brand.